What do you value in a worship service? 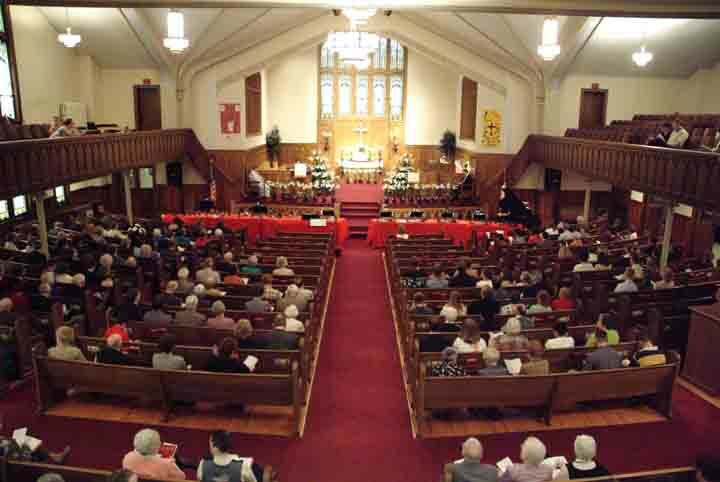 A time-honored worship service with a variety of hymns from the United Methodist Hymnal, relavent preaching from the pulpit, a high-quality choir sharing the gift of music each week with their anthem, exceptional musical accompaniment with the pipe organ, and the use of time-honored, biblical-sound liturgies to aid in worship. A casual service with use of piano-led upbeat traditional hymns and praise and worship songs, with words projected on a screen. The Celebration Singers lead us in a style of music that has a strong bass beat and contemporary rhythms. You will also find quality biblical messages that help us live in today's world, a wide range of dress to fit your style, and sharing in a range of emotions, however the Holy Spirit touches us. Here at First UMC, you have a choice. Roger Madden, our pastor, is a caring and enthusiastic minister who communicates with young and old alike. His Biblical messages relate to the pressures and day to day problems we all encounter, while they also challenge us to use the gifts God has blessed us with. 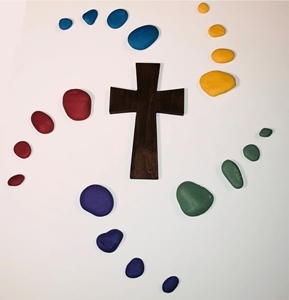 We also have special worship services throughout the year such as Christmas Eve, Ash Wednesday, and others. 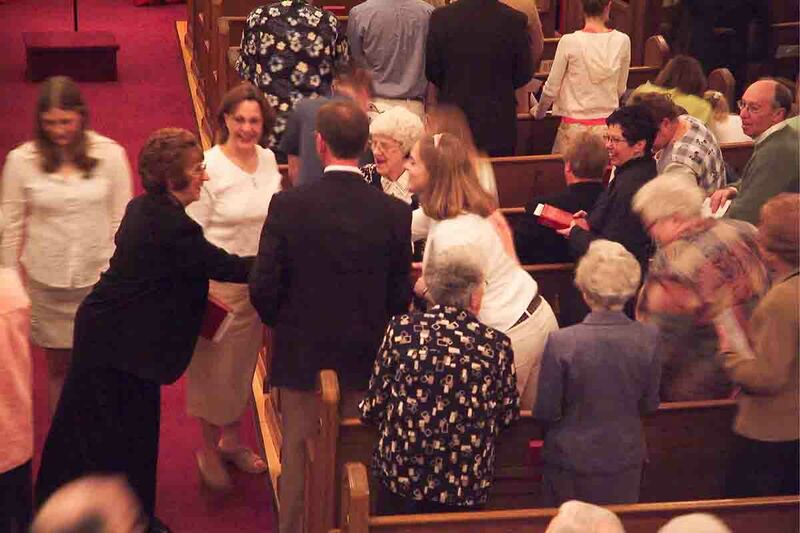 We hope you feel right at home as we worship together here at First UMC.